DELPHINIUS PUBLISHING IS AN INDEPENDENT PRESS. OUR BOOKS INCLUDE E-BOOKS OF THE NEW YORK TIMES "NOTABLE BOOK OF THE YEAR," DUCK AND COVER, A HIGHLY ACCLAIMED SIERRA CLUB NOVEL, ANIMAL HEART, THE CELTIC ROMANCE NOVELLA, THE SECRET JOURNAL OF KATE MORAG. 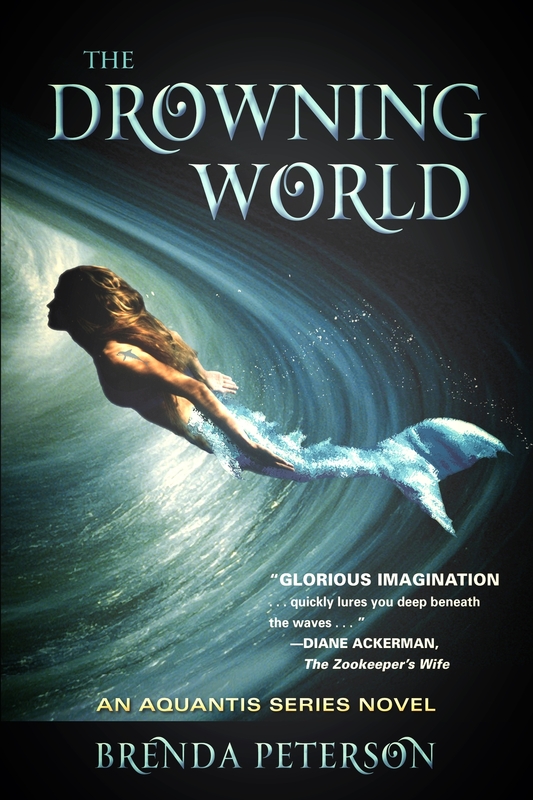 THE NEW FANTASY YA CROSSOVER NOVEL, THE DROWNING WORLD IS JUST OUT AS AN E-BOOK ON IBOOKS, NOOK, KINDLE, AND KOBO. ALSO AVAILABLE IN PAPERBACK FROM INGRAM AND THROUGH INDEPENDENT BOOKSTORES AND THEIR ESPRESSO BOOK MACHINE NETWORK. Through her work as a novelist and nature writer, Peterson’s curiosity about and respect for nature radiates through her 17 books, which range from her first memoir Build Me an Ark: A Life with Animals, chosen as a “Best Spiritual Book of 2001,” to three novels, one of which, Duck and Cover, was chosen by New York Times as Notable Book of the Year. Her new memoir, I Want To Be Left Behind: Finding Rapture Here on Earth was selected by The Christian Science Monitor among the Top Ten Best Non-Fiction Books of 2010. Her novels include Animal Heart (Sierra Club Books) and River of Light (Knopf), as well as Becoming the Enemy (Graywolf Press). Her nonfiction books include Living by Water and the National Geographic book Sightings: The Gray Whale’s Mysterious Journey. These works established Peterson as a prominent creative nonfiction writer, extensively profiled in the reference work America’s Nature Writers. Peterson’s bestselling anthology Intimate Nature: The Bond Between Women and Animals is often taught in university courses. Her nonfiction has appeared in numerous national newspapers, journals, and magazines, including The New York Times, Chicago Tribune, San Francisco Chronicle, Reader’s Digest, Christian Science Monitor, O: The Oprah Magazine, and Utne Reader. Peterson lives in Seattle. For the past two decades, she has studied and written about animals, especially marine mammals and wolves. She is the founder of the Seattle-based grassroots conservation group Seal Sitters. Since 1993 she has contributed environmental commentary to NPR and is a frequent commentator to The Huffington Post. See her blog and website for online links. Her new picture book,Leopard and Silkie: One Boy’s Quest to Save the Seal Pups, was published by Henry Holt for Young Readers and was a 2013 winner of National Science Teacher's Association "Outstanding Science Books for K-12." 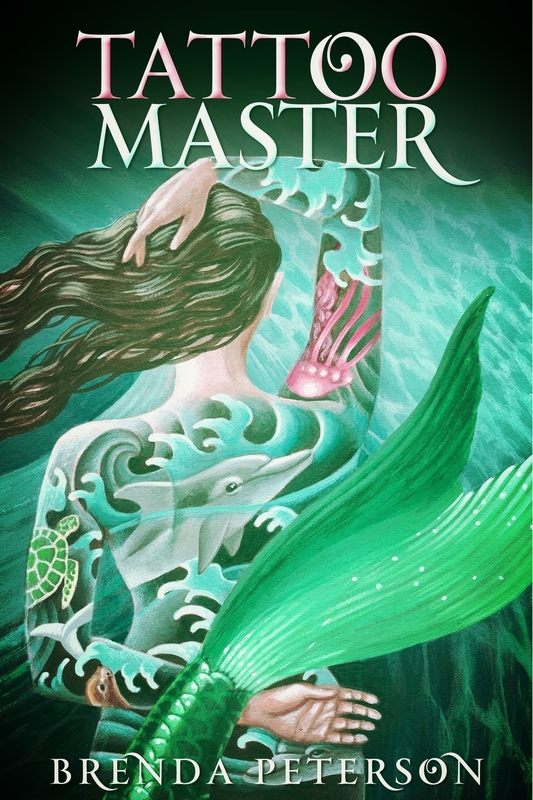 Her new novel, The Drowning World, part of her fantasy/sci-fi Aquantis Series begun withAnimal Heart, is just out in ebook and paperback from Ingram and Espresso Book Machine Network.